Almost 60 businesses in the Borders are expecting to increase their annual turnover by at least £100,000 over the next three years, thanks to support they’ve been given by the region’s Business Gateway service. A total of 219 new start-up businesses also began trading last financial year after receiving free advice and support from the service, run locally by Scottish Borders Council. That figure was revealed in the service’s latest annual report, presented to the council’s executive committee last week. A total of 59 businesses are accessing growth support through Business Gateway, with 38 expecting to increase annual turnover by £100,000 in three years, 15 predicting growth of more than £200,000 and four anticipating an increase of at least £400,000. A further two firms, after accessing account management support, are targeting growth of more than £1m a year. The report to councillors also showed that almost 900 people attended workshops and seminars during the last financial year. Mid Berwickshire councillor Mark Rowley, the authority’s executive member for business and economic development, said: “Our Business Gateway service continues to deliver vital advice to local entrepreneurs and established businesses of all sizes, which helps them grow and develop, take on additional employees and expand into new markets or start exporting. 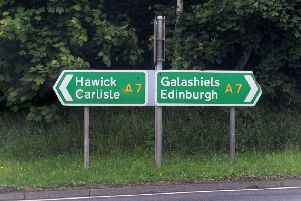 The Business Gateway service, now based in Hawick, offers a one-stop shop for support inquiries as well as providing a conduit to other sources of help provided by the likes of Scottish Enterprise and Skills Development Scotland. The service’s business plan for the next year includes increasing the delivery of workshops in hard-to-reach communities and running more events bringing leading businesspeople to the region to inspire and stimulate innovation and improvement. Gordon Henderson, a senior development manager for the Federation of Small Businesses, said: “Business Gateway is an essential source of expert help for businesses, new and existing, so I regularly signpost their workshops and advice services to our members in the Borders.